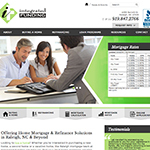 Integrated Funding is very excited to announce the launch of our new website! When thinking about mortgage rates during the last few weeks, I get dizzy. Rates have gone up. Rates have come down. They’ve also remained flat. In short, rates have gone in all sorts of different directions. Should I Choose a Walkable Community or Suburban Community?